The Elementary Cushion in Cosmic Anthracite with French Beige is a great two-tone style piece, which works well with a variety of sofas or beds from Brosa. 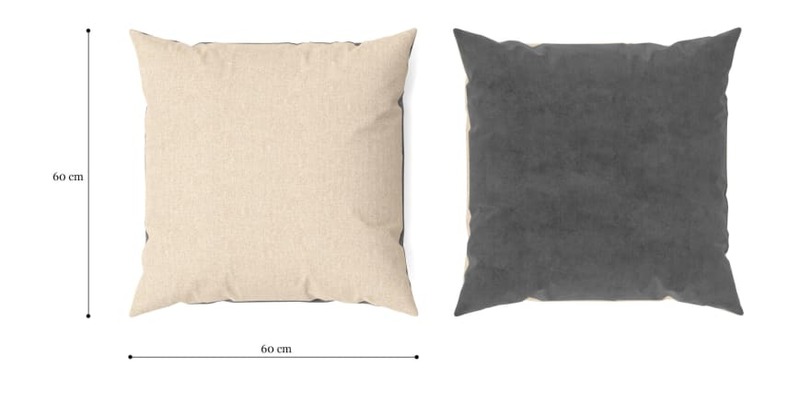 Two tone of dark and light shades give this cushion versatility, while the soft and durable Warwick Mystere velvet is both soft and durable. View the rest of the colour range on offer here. Filled with premium quality Australian Duck Feather Down, the cushion has a soft yet firm feel for the ultimate in refined comfort. To complete the seamless design of the cushion, a matching zipper has been fitted along the side with close attention to detail. Good news! Elementary Cushion Cosmic Anthracite with French Beige is currently on display in our Alexandria Collingwood studio.